Visually impaired children who would love to learn how to code? Here's looking at you, says Microsoft. Its approach toward teaching with a physical programming language has taken bigger steps since its beginnings four years ago, when it was dubbed Project Torino. The AI Blog from Microsoft carried a March 2017 story on the project. Allison Linn wrote that "A team of Microsoft researchers and designers in the company's Cambridge, UK lab created what they are calling a physical programming language. It's a way for kids to physically create code by connecting pods together to build programs." Connecting pods? Fundamentally, the system called for working with blocks of different shapes. These shapes can be attached in patterns. The method was targeted for use by the visually impaired. Feedback capabilities: Once the pods are attached and buttons adjusted, the system emits a song or joke as audible output, said Adele Peters in Fast Company. Each pod amounts to a line of code. Another ambitious goal was if kids with visual and other challenges, such as dyslexia or autism, might be put on a closer path toward becoming software engineers and computer scientists. 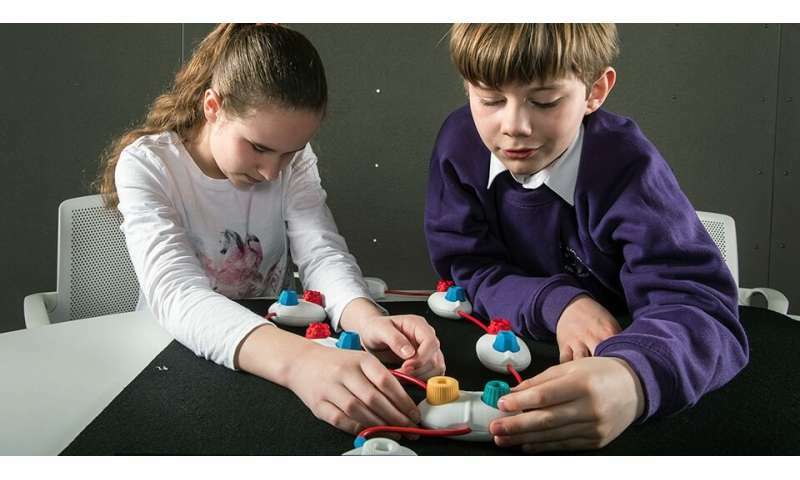 The project won interest from the Royal National Institute of Blind People at the time of the 2017 article, with Steve Tyler of the institute commenting on "a woeful lack of resources for visually impaired children who have an interest in coding or more generally are ready for an introduction to mathematical and strategic thinking." One member of the Microsoft research team even wondered if their system might be useful for all learners, regardless. Cecily Morrison, said Linn, hoped that, since a design principle had been inclusion, then "The idea was to create something that a whole mainstream class could use, and they could use together." She said the project gave the young participants a "computational base to whatever direction they go, and a shared vocabulary about what computing is." This month, Adele Peters was one of several tech watchers with exciting news updates: "Microsoft announced that it will transfer the research and technology for the project to the nonprofit APH, or American Printing House for the Blind, which plans to bring it to market later this year." Project Torino has developed into Code Jumper. As BleepingComputer worded it, students have a system "designed to help them learn to code using a tactile based workflow." So, by plugging a "this" into "that," they create a loop, and that loop's possibilities are endless. Fast Company recently reminded readers that the project Code Jumper can "let you play with code with your hands." Sergiu Gatlan in BleepingComputer wrote, "Microsoft will transfer the technology and research behind this physical programming language to the American Printing House for the Blind (APH) to make it easier to access by more students from Australia, Canada, the UK, India, and the US during 2019, targeting countries from all over the globe over the next five years." An updated video, too, posted on January 22, is titled "Code Jumper Aims to Jumpstart Computer Science Interest for Kids Who Are Blind." Morrison appeared in the video. An American Printing House for the Blind (APH) source in the video said Microsoft handed them this project named Turino and they decided on the name Code Jumper.